The Anabiki-Noko, or Anahiki-noko is a saw for big jobs: to cross-cut large beams or to cut firewood. Photo above: 2 historic Anahiki-noko in the Takenaka Carpentry Museum in Kobe. 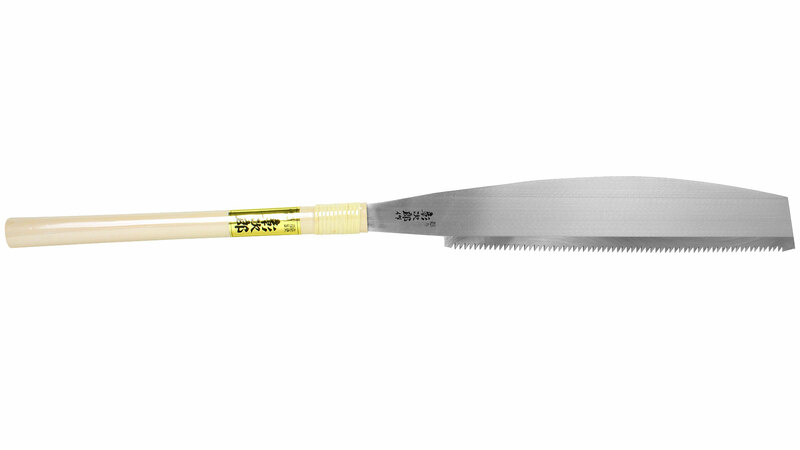 The company Shirai-Sangyo is a living part of the tradition of saw manufacturers in the city of Sanjo, where the first recorded sawsmith set up shop in 1673. The firm itself was founded in 1924 and remains today a traditional family-run operation. We are very happy to be able to offer such a useful saw at an excellent price. The heavily-set, wedge-shaped teeth (Ibarame-teeth) make this Anabiki well suited to diagonal cuts as well as cross cuts. Blade in high-carbon steel with a straight cutting edge. 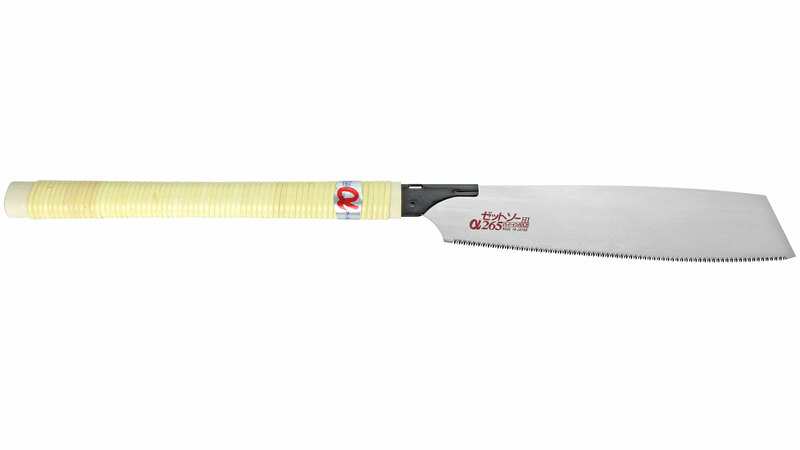 This form of saw comes originally from the region around Osaka. These two traditionally crafted saws are a real bargain at this price. Do not expect a factory-finished polished product, but rather a straightforward, workmanlike tool with its sights set solely on user benefits. The blade is not, as on expensive traditional saws, aligned with any particular attention to detail, it might be slightly skew and curvy. 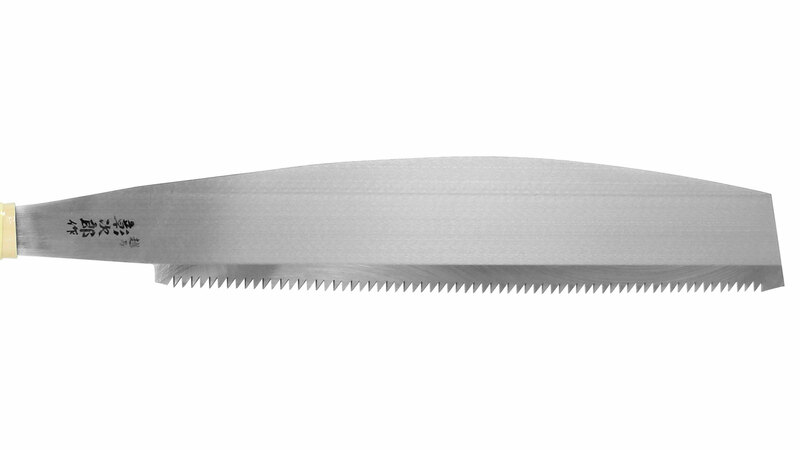 This is not a defect and the saw is fully functional for the intended purpose. To repeat: a saw for rough and ready work. The curved tooth line lets you cut even large planks and beams fast and accurately. That is why carpenters prefer this saw for trimming because it leaves them with a finish that is a cut above the rest. Used predominantly for crosscutting!